Thanks for stopping by the Blooming Fool site! We at the Fool think that every delivery is an important one. Our designs are always current, handcrafted, extremely fresh, and seasonal. While there are but a few photos on the site it really comes down to what we have today. We are happy to deliver specific desires with a few days notice. Please feel free to contact us with any questions. We offer a variety of services for businesses. 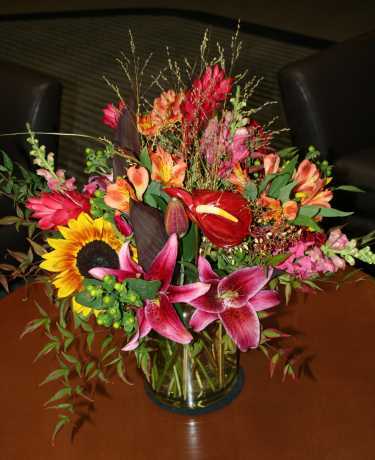 Fresh floral arrangements, plants, snack baskets and out of town ordering through our network of associates. Its hard to believe that April is here! Beautiful spring flowers are popping up all over. Let us pop in on someone you know that can use a blast of SPRING!! Don’t forget to order that floral centerpiece for the Easter Dinner table.